I actually really liked how this ended up. His movements are calm and inquisitive at the beginning and then sharp and frantic when he spots Wormy. Though there are a few issues with the antenna and his knee I think overall it gets the job done of exploring basic mechanics in a one-legged character. The blood splatter, background and camera swoop were just funny little extras I played around with, though I think the zoom really adds to the humour and the effect I was going for in the last second. The slight glance upwards of the character was mean to be a visual representation of “oh crap what have I done I just killed a man” and I think the camera accentuates that feeling. T’was time to bring out the basic mechanics rig. Carl Legman. In our group we decided on a common theme for all our individual animations. We all agreed that Carl should be attacked from offscreen whether this be in the form of random polygons, a barrel, a cube, a football or Wormy (Spermy ( ͡° ͜ʖ ͡°) was also going to make an appearance but things got overcomplicated). We decided to use filmed references for this, I volunteered to have my shoelaces tied together and be filmed having objects thrown at my face. This was surprisingly fun and hopefully came in handy for the other group members. 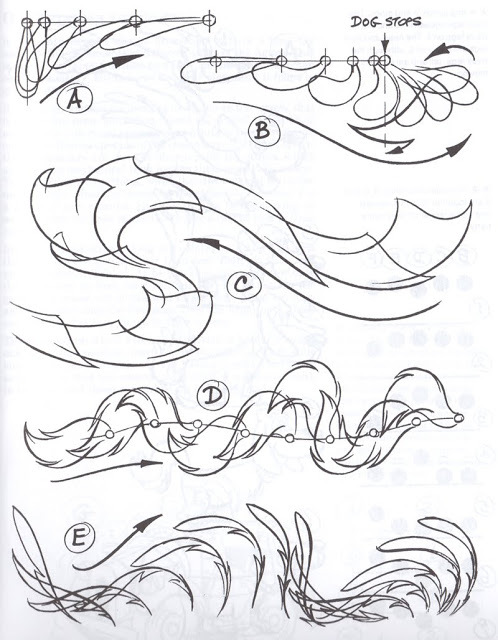 Generally, a tail will reflect how fast a character is moving. 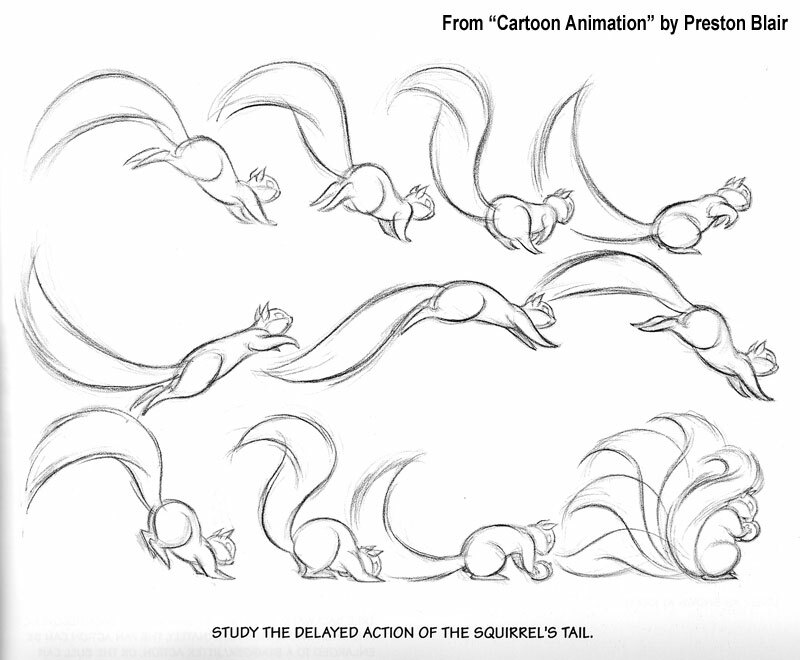 If it flops up and down drastically the character may not be moving very fast, like a squirrel, for example. But if it follows the main line of action of the character or creature (owner) with very little or no flopping then the character is moving very fast. I remembered this for the animation and tried my best to create the believable movement of the tail as it followed the line of action of the ball as well as responding to the drastic change of course like when the ball hits the wall or platform. Reference videos for Carl Legman. This was a reference for an animation that never actually got past the drawing board. Legman was supposed to be balancing on a rotating object. This one didn’t go to waste 🙂 Dodging multiple flying objects. dEATH TO THE BOTTLE! I ended up doing this one. The Claw would primarily be practice for the Principle of Follow through and Overlapping Animation, though I wanted to apply what I had learned in the previous week which was to give the claw a personality like I did with Wormy. Luxo the lamp from Pixar’s famous logo introduction and the short “Luxo Jr” exemplify the application of a personality to a very simple character and I wanted to try a similar technique with Carl. My plan for the animation was Carl would throw the ball and then proceed to watch it descend through the course. I then noticed that the ball would not reach the halfpipe (where I had intended it to stop) without the leap becoming too large for it’s momentum and making the animation look silly. I then made the decision to make Carl “use the force” to “pull” the halfpipe so it fell over allowing the ball to slide up it’s curve and come to a stop further along the track. Anyone who’s comfortably watching TV when the remote is a little out of reach knows exactly what happens. You straighten and strain your arm a little (Obi Wan will be disappointed) and eventually try to pull the object towards you but pretending like there is some great weight attached to your hand. I used my own hand as a reference. The arm then comes to a comfortable stop along with the ball.